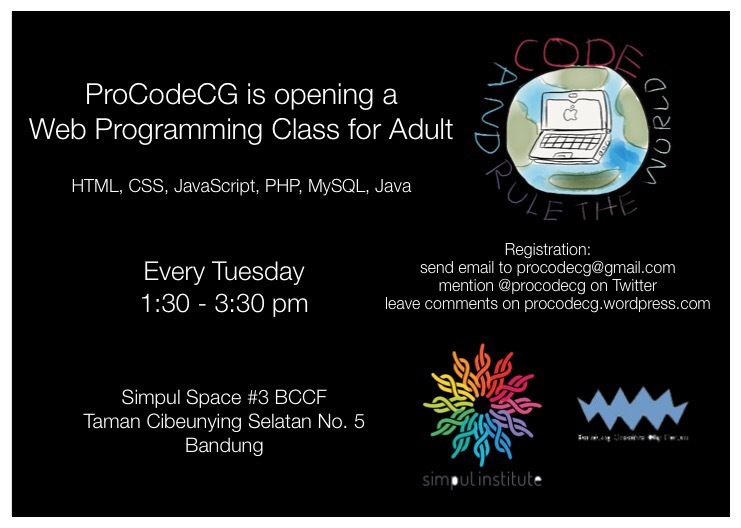 ProCodeCG is setting up a regular event named ProCodeCG – codeMeetUp(). This is to gather programmers/coders to share, to collaborate, to learn, to be a mentor, to solve problems in different programming languages for different purposes. We will inform you about the time and place, but this activity is supposed to be held on a once a week basis! Geared up people! What uniform does a programmer usually wear? Ok kids, this is my best shot: the uniform of a programmer would be jeans and sneakers and a backpack. Do you have to wear it? No. Does it make you a programmer? No.